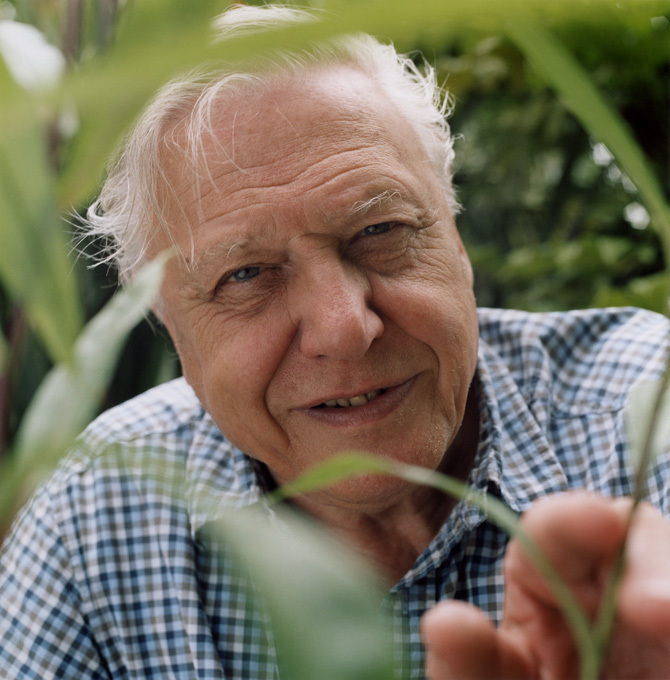 Remember Attenborough’s soothing voice on a Sunday night? For many watching nature on TV at an early age kick-started a passion for wildlife and future careers in the fields of conservation and biology. In June’s Conservation Conversation we discussed nature documentaries and science: what we think is good about them now in terms of science communication, and where we think they could go in the future to contribute more. Nature documentaries and their presenters have a huge following; tapping into that following would be invaluable for communicating science to a broad spectrum of people. This month’s Conservation Conversation came about from watching another sort of conversation between Chris Packham, George Monbiot and Jeremy Deller. The trio talked about art, nature and the messages given out through nature documentaries (unfortunately this particular episode of Chris Packham’s Natural Selection is no longer on BBC iplayer so we can’t provide a link). As part of their conversation they illustrated how well science can be communicated on the TV by showing “How wolves change rivers” narrated by George Monbiot. They also discussed the realism, or lack thereof, of what we’re seeing in nature documentaries. This is certainly something that came up in our conversation too: there seems to be a bit of disparity between what we’re researching in the field of conservation and ecology, and what is being shown on the telly. For conservationists the realism of these wonderful wildlife spectacles is the growing threats to it such as loss of habitat, poaching, and climate change. Often there is now a single episode, maybe at the end of a series, which is dedicated to the impacts humans are having on all the fabulous things we’ve been watching every Sunday night for the past six weeks or so. But is there too much emphasis on the purely negative impacts people are having on the planet? Could more positive interactions be shown too so that people don’t feel disconnected and disheartened by what they know we’re collectively messing up? For example, if we’re shown the negative impacts we’re having, but also the good work that people are doing to try and turn things around, perhaps this would re-connect people to the issues and more positives could come about? Thinking about “How wolves change rivers” we wondered about how to talk about the complexity of the science and issues we’re dealing with. It’s not black and white out there in the conservation world. There are interactions which change over space and time, both between plants and animals, and humans and the environment. These changing complexities are fascinating, but perhaps detract from the story TV programmers wants to tell. How much complexity does the audience want? It’s hard to get the balance between things being scientifically correct and enjoyable to watch. After all, TV is a wind-down for most after the 10 o’clock news, when easily digestible facts are probably preferred. One of the big themes to come out of our conversation was that of knowing your audience. Next up is conflict. There’s a lot of human-wildlife conflict out there which doesn’t necessarily get the air time it deserves. But is there a danger of this becoming very political? Perhaps more investigative journalism is needed? “Panorama” for the natural world? What about if scientists themselves were more outspoken about their big ideas and research conclusions, sparking big conversations and debate? Should we be a bit more Monbiot…a little controversial at times, but planting the seeds for discussion amongst many people who might not usually communicate with each other? These are obvious benefits, but perhaps getting sucked into big debates in the media is exactly what puts scientists off doing this. A recent article published in the journal Conservation Letters explores the issues raised when conservation scientists take up advocacy in public debate. Another interesting thought we had was that if wildlife documentaries were to change now, perhaps introducing more stories about human-nature interaction, would a different generation of conservationists be borne? Are we the product of watching Attenborough on a Sunday night? The Conservation Conversation – an initiative of STICS – is an informal lunchtime discussion on topical issues held on the last Friday of every month. For more information contact Emma Bush (e.r.bush@stir.ac.uk).